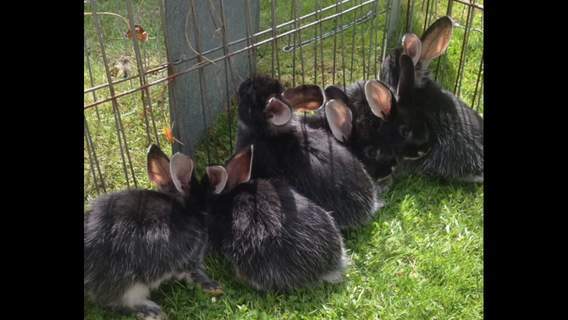 The first Silver Fox rabbits were exhibited in 1926, having been created from the original Chinchilla breed. 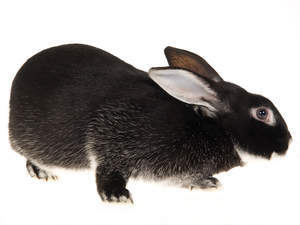 In America, our Silver Fox is called the Silver Marten with their own Silver Fox a much larger rabbit, created by crossing Checkered Giants with Silvers. The Silver Fox rabbit has a coat of even colour with white ticking from silver tipped hairs around the chest, flanks and feet. 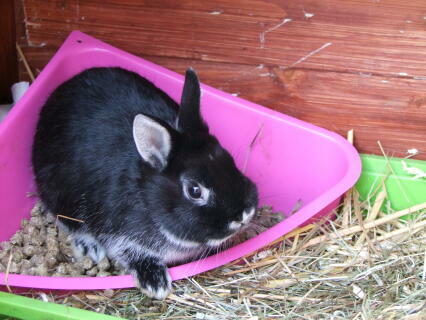 The rabbit has brown, grey or lilac eyes and each eye is circled neatly with under colour. The coat is very dense but beautifully silky. Adult Silver Fox can weigh up to 3.17kg (7lb). The Silver Fox can make a good pet if it is handled well, offered companionship and provided with sufficient space to have regular exercise. The Silver Fox (known as Silver Marten in the United States) is a strikingly beautiful rabbit. It's white ticking is unique to the breed and creates a wonderful contrast with its solid body colour. These are increasingly rare as both a pet and a show rabbit and I would encourage those thinking of breeding for show and conservation to consider the Silver Fox - you won't regret it! We have a Silver Fox crossed with a Dutch dwarf. 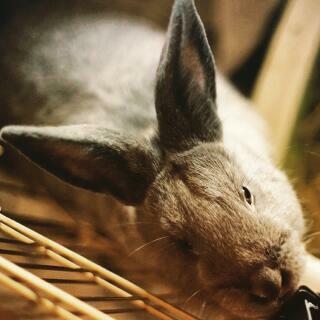 She is a beautiful rabbit and the vets have remarked what a good looking rabbit she is. Very friendly and loves being stroked and will sit for ages enjoying it. Her fur is silky soft even when she is going through her major moult. We love her and at 8 years old she still runs around the garden every day. 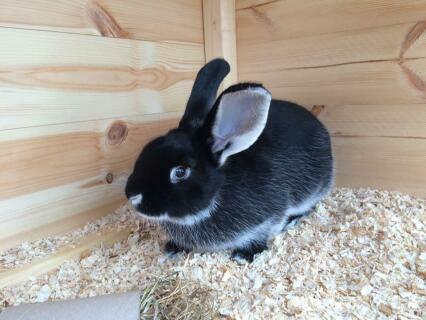 I have a black Silver Fox rabbit with brown eyes. She is very friendly and never bites or scratches. She can go outside without a lead because she never runs away and she used to be an amazing jumper and runner but she is to old now. She is 7 years old and would fall over if she tried a jump but can still run quite fast. She can be handled very easily and makes a very good show rabbit because whenever I take her to the Marymas fair their is a pet show and I enter her and my dog Cody. Apart from Wispper their are normally about 30 dogs and she always looks very calm and wins 1st place!